The Forest Service will be applying insecticides in recreation sites throughout the Beaverhead-Deerlodge National Forest over the next several weeks. 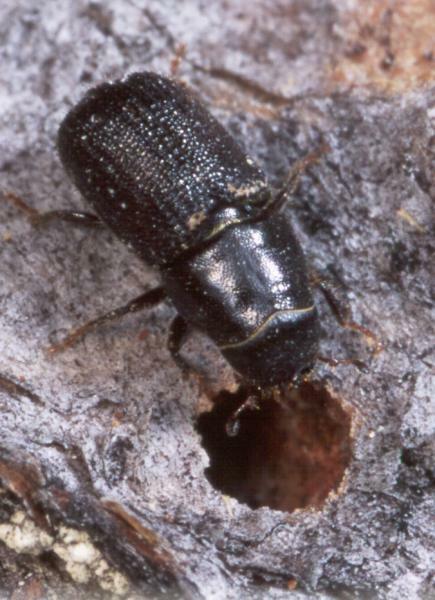 The need for this is driven by current mountain pine beetle activity, which has heavily affected many areas throughout southwest Montana and has already impacted some individual trees within popular recreation areas. If you’re planning your annual family outing on the Beaverhead-Deerlodge National Forest, or if it’s your first visit to the vast 3.35-million acre forest, you may note that many of the recreation sites will look different than seen in years past or in pictures. “Spraying will begin in early July with individual tree treatments in those places we know a large majority of forest visitors and users will be this summer – campgrounds, day-use areas, and trailheads,” commented Silviculturist Anton Brennick,. “To be effective, we must spray the live trees before the beetles fly again and bore into and, subsequently, lay their eggs in the new-found trees. “Campground users will notice packets stapled to trees. These 2”x2” packets contain Verbenone and/or MCH which are pheromones used to ward away bark beetles in Douglas-fir. Visitors will also notice a caulk-like substance containing Verbenone known as SPLAT applied to trees and is used to ward off beetles in lodgepole pine and in areas where we cannot spray Carbaryl pesticides due to its adjacency to water”. Sites marked with (**) will not be closed but will have packets or SPLAT placed on trees to reduce impacts from bark beetles. Signs will be posted at locations where work is occurring with information on the chemical used, and closure period, including a potential time when the location can once again be used. Exposure of the public to Carbaryl spray, Verbenone SPLAT and MCH packets should be minimal to non-existent. Further information about these activities can be obtained from Joan Williams at (406) 859-3211, or Anton Brennick at (406) 494-0239.